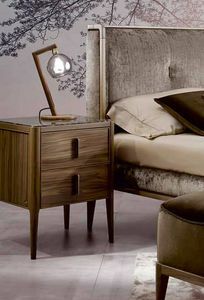 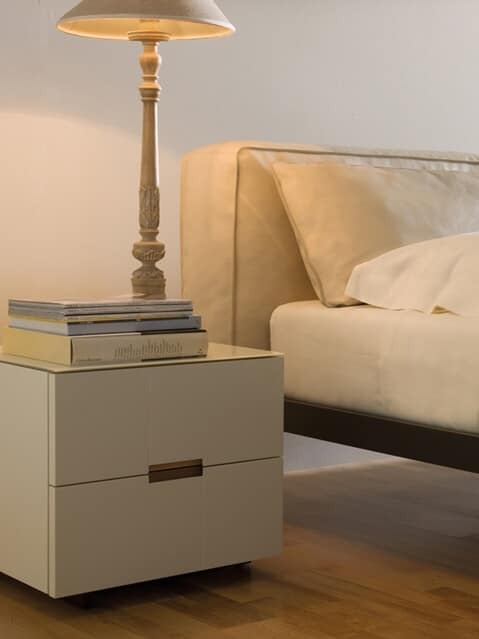 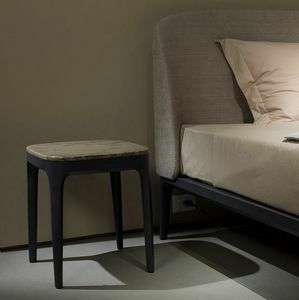 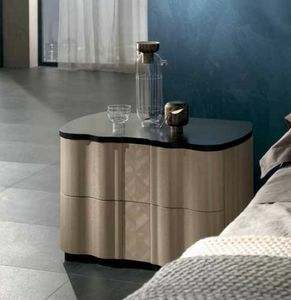 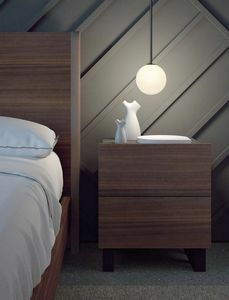 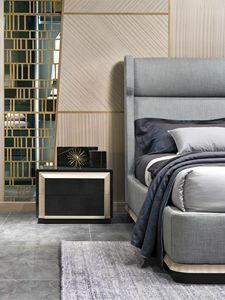 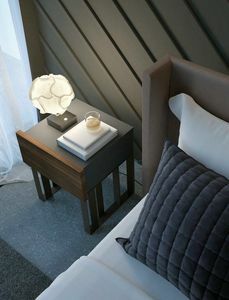 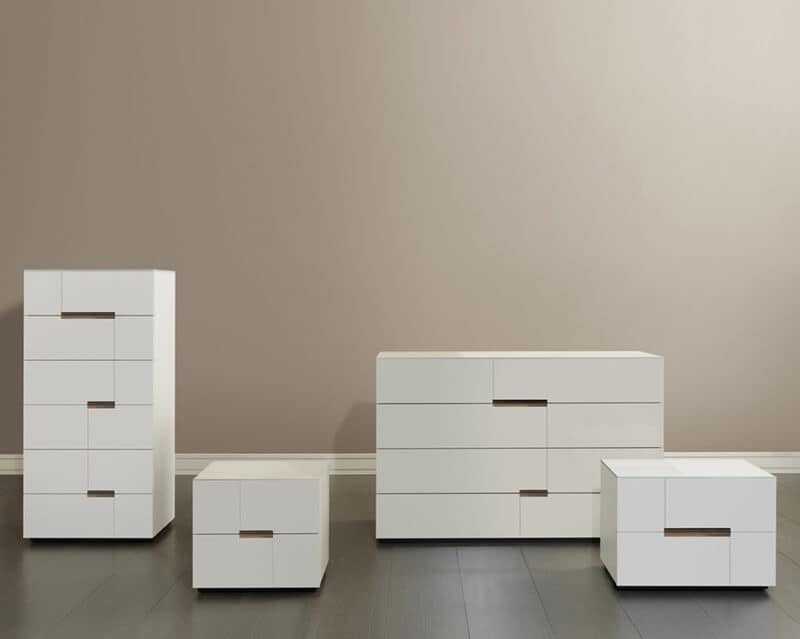 Collection of bedside tables and back finished storage units, that integrate the Palea series wardrobes. 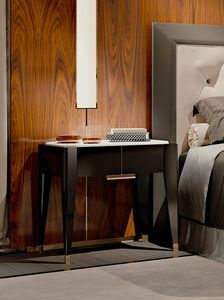 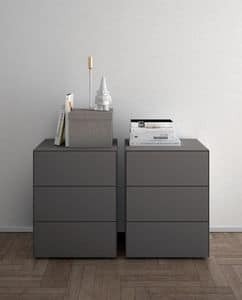 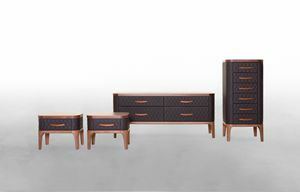 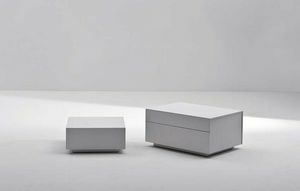 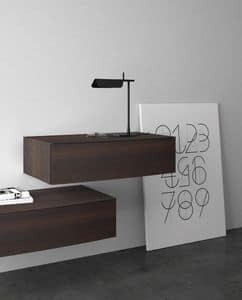 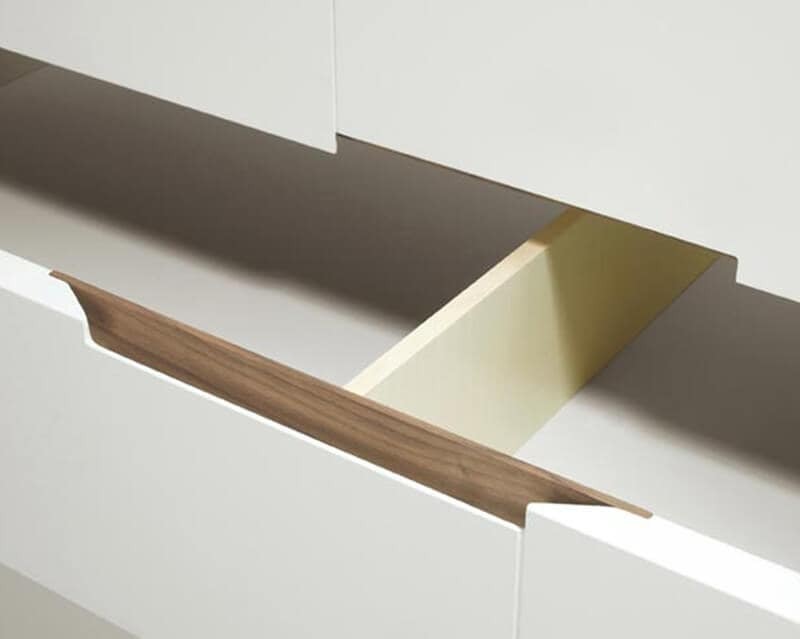 They are available in matt lacquer, the front drawers also in polished polyester. 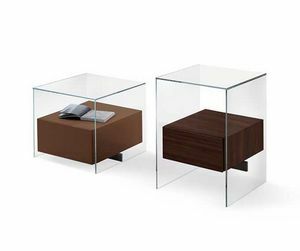 The top finishing is retro-varnished glass. 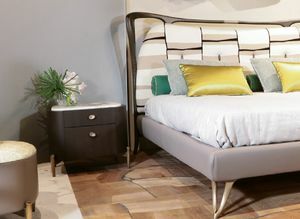 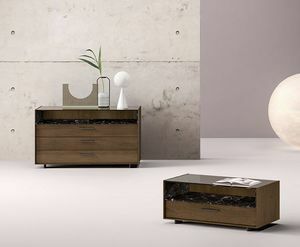 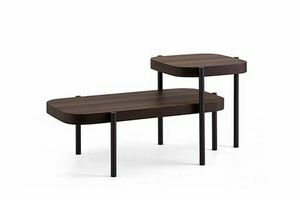 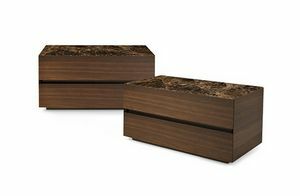 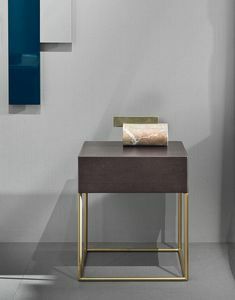 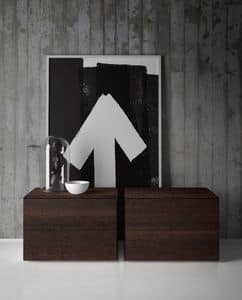 Particularly prized is the geometric base relief connecting one recessed handle with another with solid wood inserts in striped walnut.